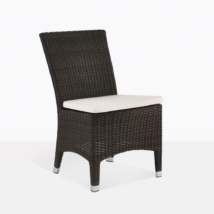 The Luigi Wicker Dining Arm Chair in Java has a perfect height for dining and includes Sunbrella Cushions. 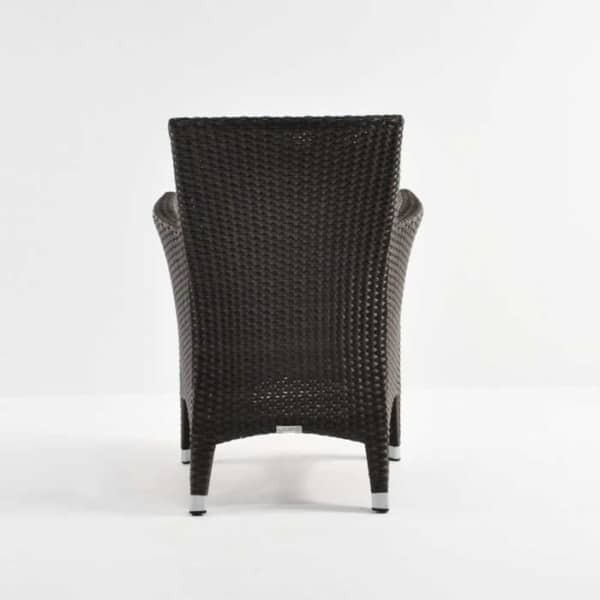 This outdoor wicker dining armchair features a slightly flared back, while the base almost reaches the floor, only to curve satisfyingly upwards a few inches above the ground. 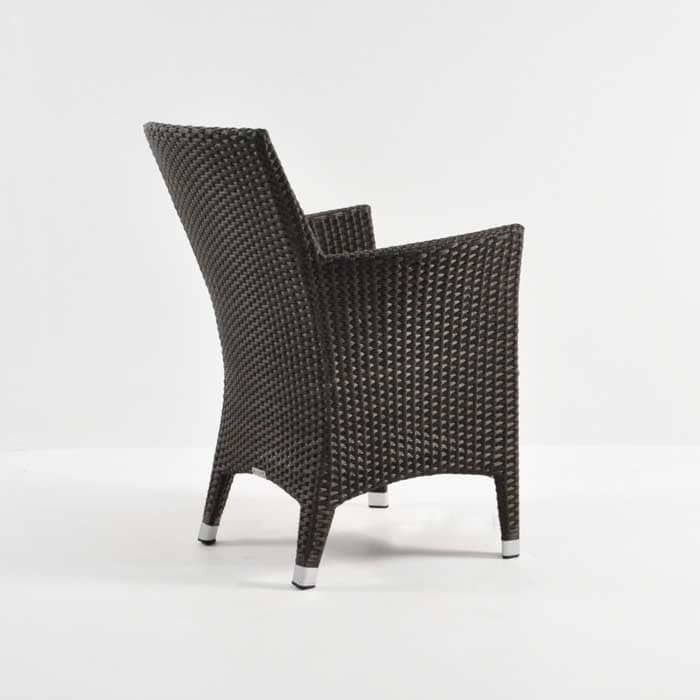 The Luigi Wicker Dining Arm Chair is made with all-weather Viro® wicker, a polyethylene synthetic product that has been through-dyed and UV treated to withstand even the harshest weather conditions. 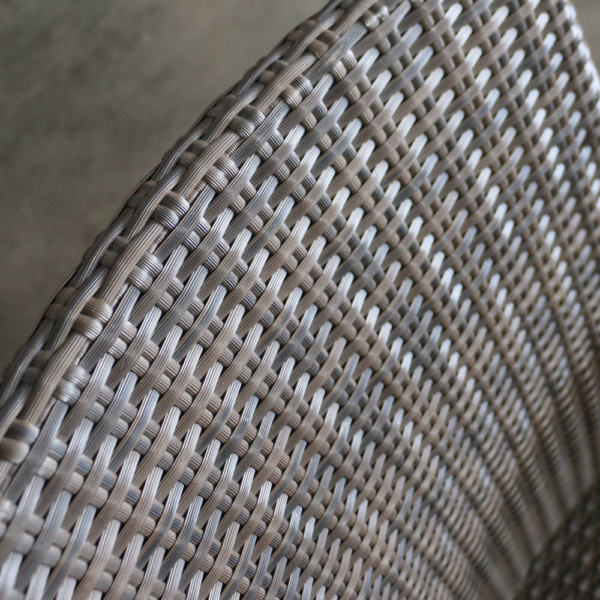 Viro® is revered for being a glorious, long lasting material that is produced in an environmentally conscious setting, winning awards for their business model and beautiful designs, we are proud to have Viro® products at the forefront of our wicker collections. 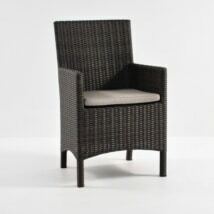 And to make an even more comfortable piece of furniture, this Luigi Wicker Dining Arm Chair comes with a Java brown Sunbrella® cushion topping of the look with quality and style. Mix and match the Luigi Wicker Dining Arm Chairs with an A-Grade teak for a majestic look. Put the Luigi Arm Chairs on either end of one of our 117” trestle style tables covered with all your favorite foods, and surrounded with the comfy Luigi Wicker Dining Side Chair – we guarantee you will be proud of your gorgeous setting. Luigi Wicker Dining Arm Chairs look great at your indoor dining table too! 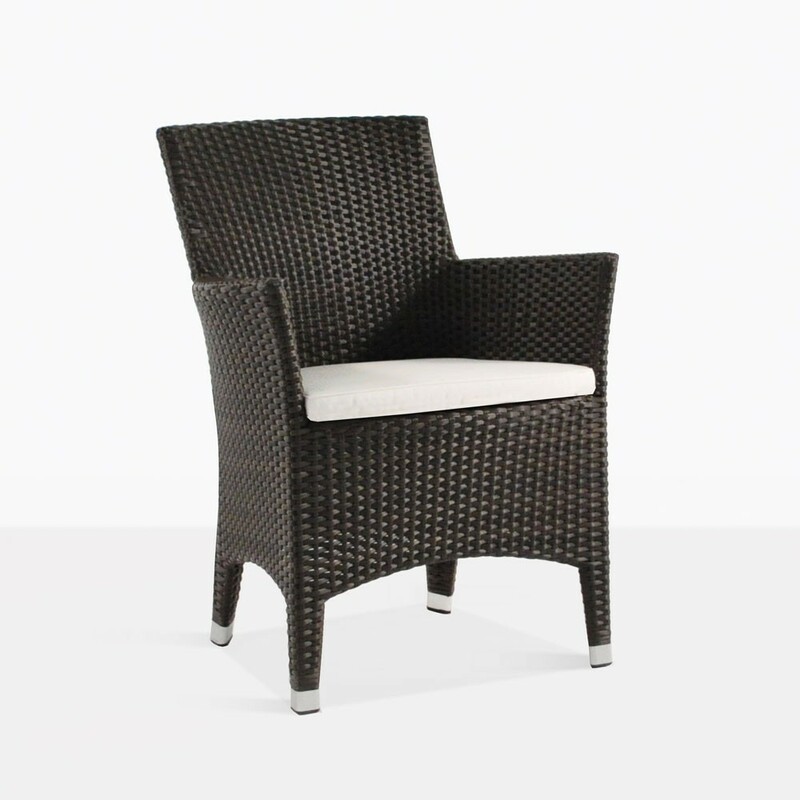 Anchor a heavy duty wood table or delicate glass-topped table with these light and lovely wicker dining chairs. Teak Warehouse has everything you need to create a fabulous outdoor living room, dining room, poolside or bar area! We are known for providing our clients with luxury furniture at wholesale prices. We arrange shipping all over the country every day! Call us up or inquire online, as we are happy to put together a quote for you at no extra cost! Simply tell us what you’re interested in and where you’re located and we will have a quote for white glove delivery ready for you in a swift fashion! If you need some assistance in picking out items that will fit into your outdoor space beautifully, then call us! Our sales team is in store everyday from 10am to 6pm and are happy to help you discover the best designs to fit in with your vision. Our splendid Java Luigi Wicker Dining Arm Chair is the ultimate in comfort and contemporary design. The Luigi Wicker Dining Arm Chair in Java is in stock and ready to ship! Call, email or stop by our furniture showroom to see us now! At Teak Warehouse our sales assistants are available 7 days a week to help you discover the best combination of outdoor furniture for you.